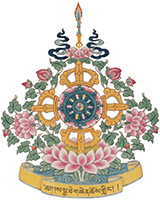 Readings: A Praise of the Twelve Exemplary Deeds of Lord Buddha, The Heart Sutra and a Non-Sectarian Prayer by Sakya Monastery of Tibetan Buddhism; The Life of the Buddha: According to the Pali Canon by Bhikkhu Nanamoli. Tashi Paljor began studying with H.H. Dagchen Rinpoche in 1977 and in his attempt to understand the teachings of the Buddha, has joined Rinpoche for Pilgrimage in 2003 and Lamdre in 2007. He has taken teachings from many of the great Lamas of the 20th century and has been practicing Buddhism since 1972.